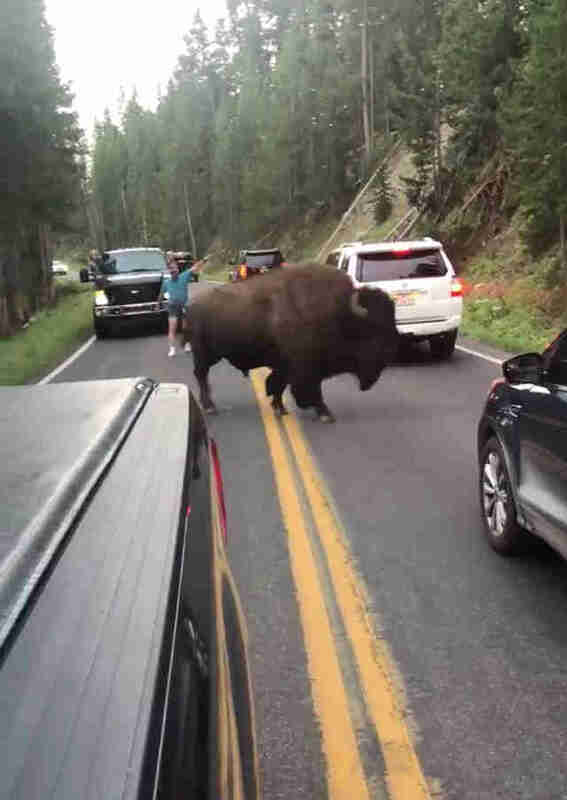 On Tuesday evening, Lindsey Jones and her family were driving through Yellowstone National Park when they got much more than they bargained for. 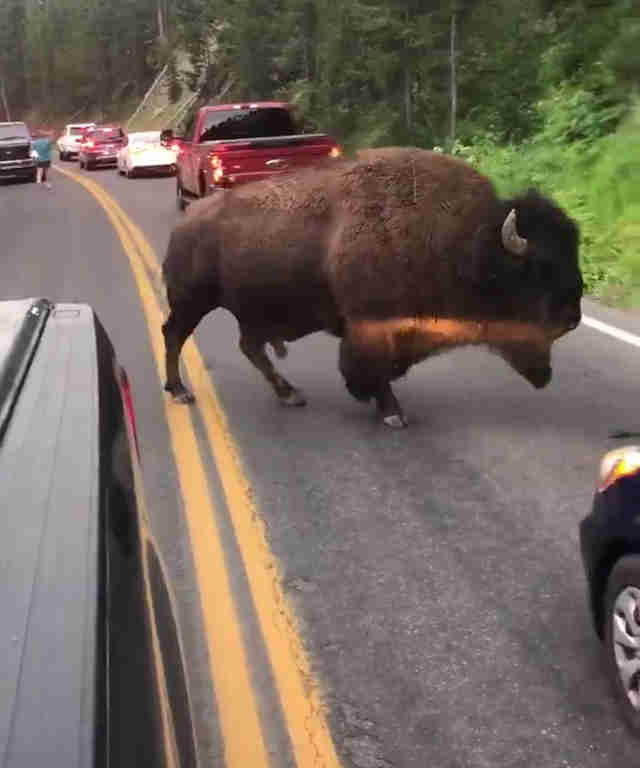 While stuck in traffic, Jones spotted a large bison playing nearby, and grabbed her camera. She continued to film from a distance as he walked down the road — and then she saw that the bison had company. 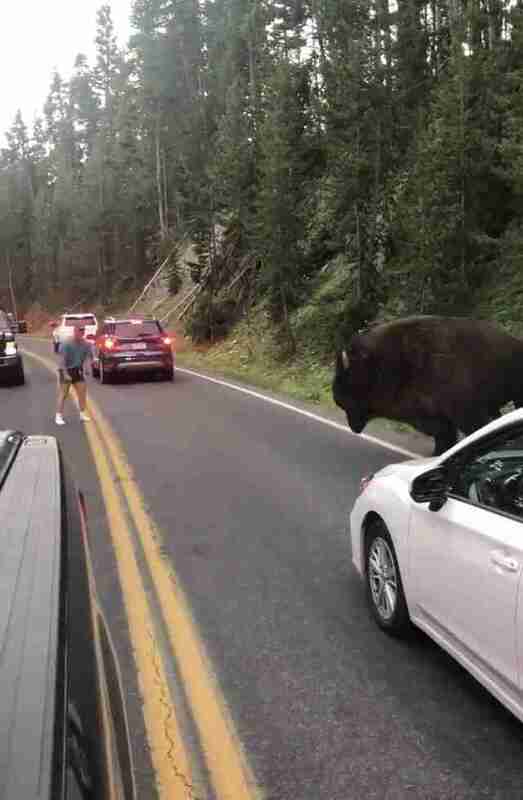 Jones and her family were shocked by the man’s bold attitude — and by the bison’s mild manner as he crossed to the opposite side of the street. 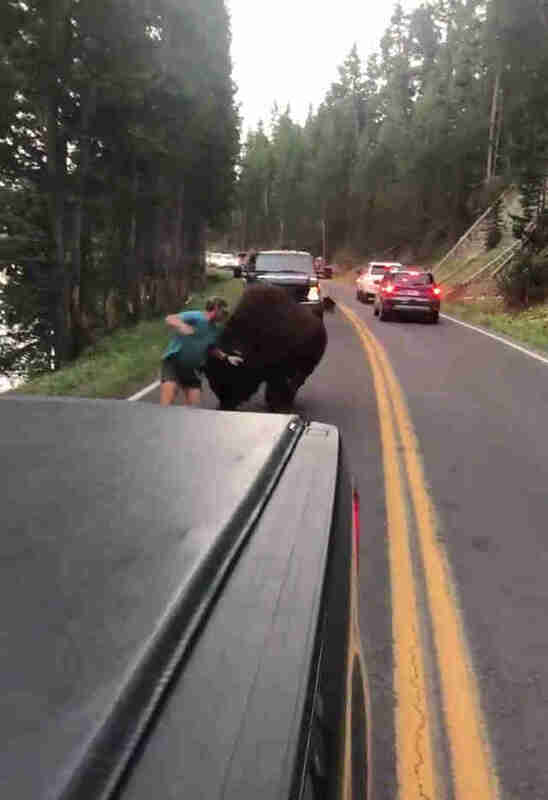 Though the bison had tried to avoid him, the man continued to approach, and then began to provoke the 1,000-plus pound animal. Jones was shocked by what the man did next. Luckily, the bison decided that the annoying man just wasn’t worth the effort, seeming to back off mere inches from the man. The park, known for its local elk, buffalo, grizzly bears and coyote, can be a dangerous place to visit if proper safety precautions are ignored — as can any area where wild animals are common. Jones posted the tense video on her Facebook page, along with the caption, “#dontdrinkandbuffalo.” While it’s unknown if the shoeless man was actually inebriated or not, provoking a bison into a face-off certainly isn’t a decision made soberly.